I haven't been updating this blog regularly thanks to the World Cup. And obviously if I ever do, all I can think of is football, football and football again. As a matter of fact, I'm still getting over Portugal's last game this morning but still happy that Spain made it through. They were so strong played so well, they deserved it! That's undeniable. At least Portugal is better than England. I felt that England game which they lost to Germany with 4-1 is really unfair, think the linesman are blind but had to accept that it was not a score. Damn! It's end of June & there goes my half year gone. Need to be more focused and managed my time on certain things. And so the match between Portugal versus Brazil finally ended last night with a draw. Phew! *relieved*I didn't really get to watch the whole game as I was in the movies watching Knight & Day. Just the last few minutes. But still I was happy to know that both team made it to the next round. Just when you think I'll get annoyed of those 'vuvuzela' sounds do you? Hey business-minded people, you might be interested to join this challenge. Seven '7' has always been a favourite number for me especially in football. I've been a big fan of it since David Beckham wore that number when he was still with Manchester United. It almost felt like the number has been attached to me. Those somehow kind of remind me of something. I miss that. Ah, wished it never ended. Oh well, oh well! Okay, gotta bugged daddy while he's watching Italy play on tv now. Because 'I rather have my beauty sleep than watch some crappy game! Time to snuggle up on my bed! Hee ;D' as quoted on my Facebook account. After all the disappointments I had to faced watching my favourite teams played on World Cup in South Africa this year, more or less dampen my spirit to stayed up late at night and early morning just to watch the match. And worst still, I had to wake early to work just like everyone else. So far, Argentina has been the only team who maintain their great score. I was actually quite surprised by those impressive goals scored by the underdogs team. Who would have thought eh? The unexpected things that could happened. What kind of value do you want when you travel? Amir Millson has new FB Public Figure page! Still can't get enough of Malaysia's Cleo Most Eligible Bachelor this 2010? And I leave you with his current interview with Dzull Zammani. Sony Music Malaysia FBPage, I love u! 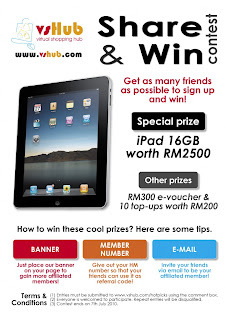 Are you always hungry and thirsty for some entertainment and freebies? Do you always wake up in the morning fill with the sound of of music? And you simply can't just live without it? Well, both of the things I love to do actually involves this two! If you happened to know very well, I am the kind who wakes up and end it with a music and not to mention, I enter contest and giveaways all the time! I mean, who doesn't like anything that comes for free right? I found the perfect site to my likings! Why I love this page? 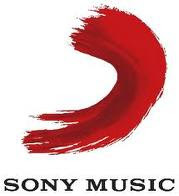 Simply because Sony Music Entertainment has lots both of my favourite local and internationals artistes under their belt. Not only that we get to interact with them, they also updates us with the latest source of our favourite singers and the best part of all, they got endless stuff to give & share with us! I'm loving them to bits! If you're on Facebook, a blogger and want to add your CDs collection, you might wanna check this out! And if I'm given a choice to choose from, okay this is hard....*paused and thinks for a while* I would love to have the latest Christina Aguilera's and Pitbull's album for sure since I already got Sony's Dennis Lau exclusive album. Want to win some cds as well? 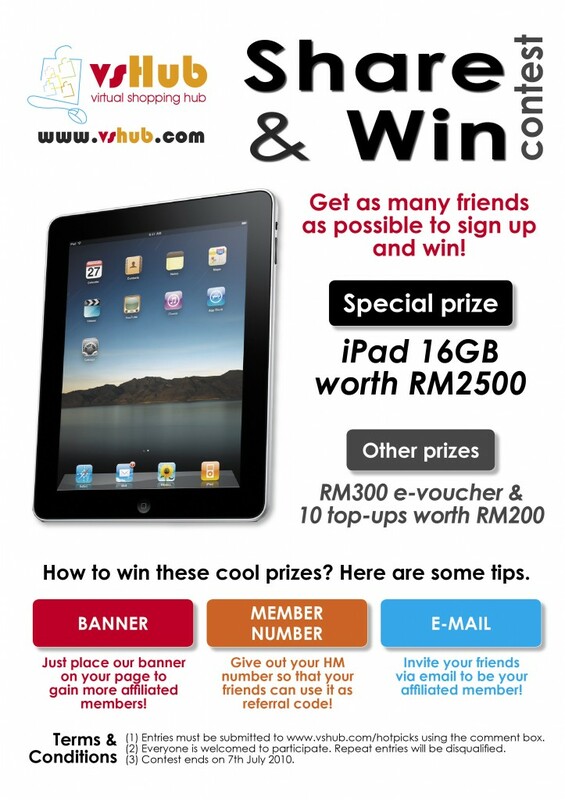 Come lah and join and win tons of prizes today! And oOps, I forgot to mention that they are on Twitter too! 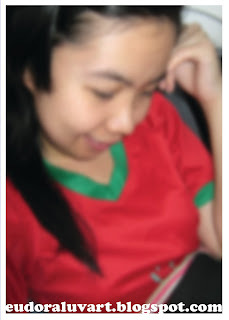 When I told you that I was not going to watch World Cup 2010, I lied. Cause today, I just did. I wasn't going to watch the match between Korea Republic Vs Greece because none of the two are my favorites. And I knew I always prefer the taste of Greek Salad than Kim Chi. But I under estimated the Koreans, they actually won the game by two goals and defeated the Greek! Let's just say that I am really impressed! After that was the Argentina Vs Nigeria match. And I was like, "Woots! Argentina is playing, there is no way I'm going to miss it!" And since it's also the weekend, I decided to wait until 2.30 a.m to watch my favourite team England to play versus United States of America. I predicted that England will definitely win by a point but to my horror, Robert Green who was England's goal keeper made a huge mistake by allowing the U.S.A score one goal. I pity that man though cause it's not easy being on his side. But I got to mention here like I did in Facebook that Steven Gerrard's 4 minute earliest goal in this year's World Cup in South Africa was SWEET! And that day, was really rare for me to sleep at 4.30 a.m. Things football do to you. While you were busy eating football, sleeping football, watching World Cup on the television and the list goes on that involves it, I am feeling all neglected and bored! Excuse me, I'm just not in the mood for football now. The fever has officially started, minus the cough and the flu though. Beware cause it may take awhile. It's going to spread! I heard, " Waka,waka, waka..." everywhere! 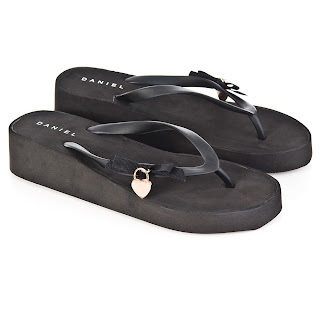 Want to win one of those sandals below? The search is over when I got you off the magazine rack at the book store! 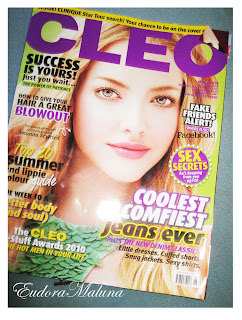 I finally got my hands on the Cleo Malaysia magazine June issue few days ago! 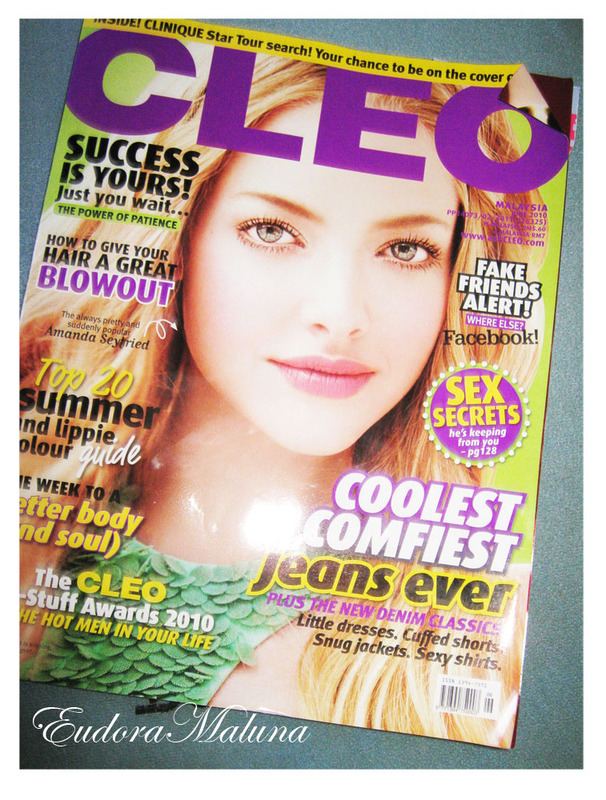 Gorgeous Amanda Seyfried in on the cover. Love the movie 'Dear John' she played on with Channing Tatum! I want her lovely set of eyes! And the best part is, Amir Millson the Cleo Malaysia Most Eligible Bachelor 2010 has 3 pages spread all about him! Whee! Love it, love it! And there is also few pages full of pictures of what has happened during the bash. With lot's and lot's of yummylicious shots of the other 49 bachelors as well. At least the unfortunate one's like me who did not get to witness the event had an idea what's going on that night. Who want's to be left out right? Want to see more of the inside content? 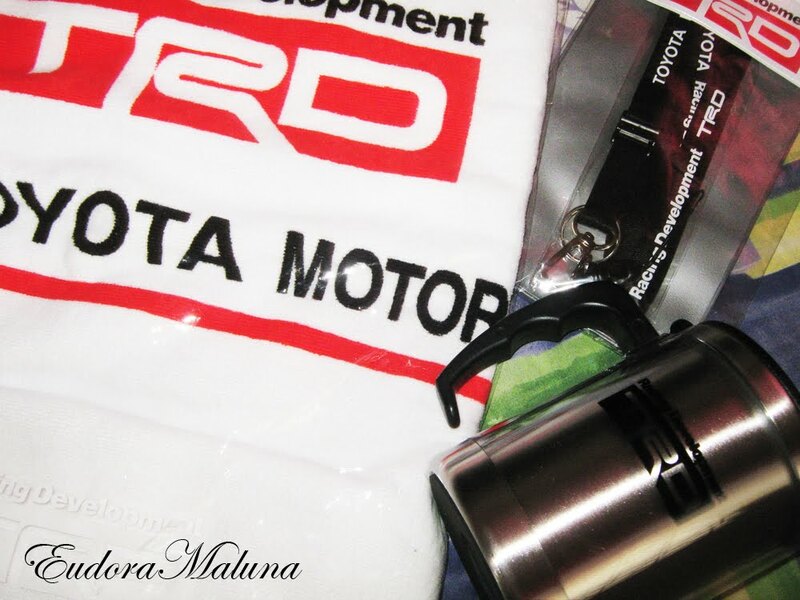 Last May, I've been endlessly participating in the 'Toyota Roadshow Re-tweet Contest' on Twitter for the whole month. 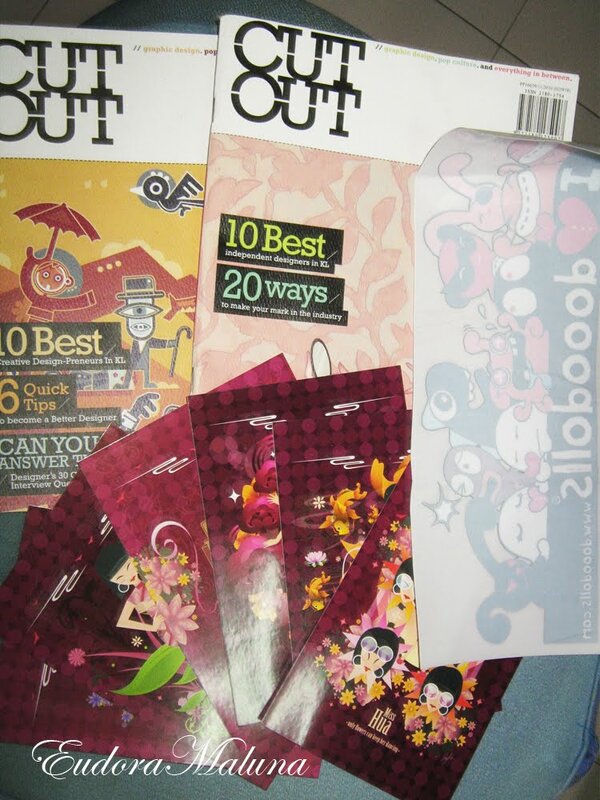 And my effort was paid when I was announced as the 50th person who RT @ToyotaMy tweet, yay I was the winner that week! 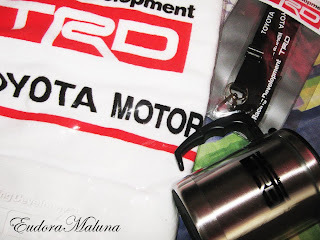 I won exclusive Toyota Racing Development merchandise! A towel, a mug and neck case all worth RM 105! Was searching high and low for inspiration. One moment, my head was full of ideas and the next thing I knew it was completely blank again. I honestly got nothing on my mind and what to blog about these days. Until the day, I have stumbled upon an article about this newest magazine in town through my favourite Junk magazine. Out of curiousity, I found the website here. I was inspired once more. Since there were discounts on subscription during that time, I decided to email and bought through online without thinking twice, try out and subscribe for the 1st 4 issues per year. It was 4a.m. I woke up at the early hours on a Gawai Day morning. It was rare for a non morning person like me to be up and about and ready that early. Plus it is a holiday for goodness sake. So why was I that excited? I was game for an early Tuesday morning adventure with Ate Pink & Kuya Alfie! Hoping to catch a glimpse at you and fell in love at first sight again! Check out some awesome photography shots by my sister and cousin.